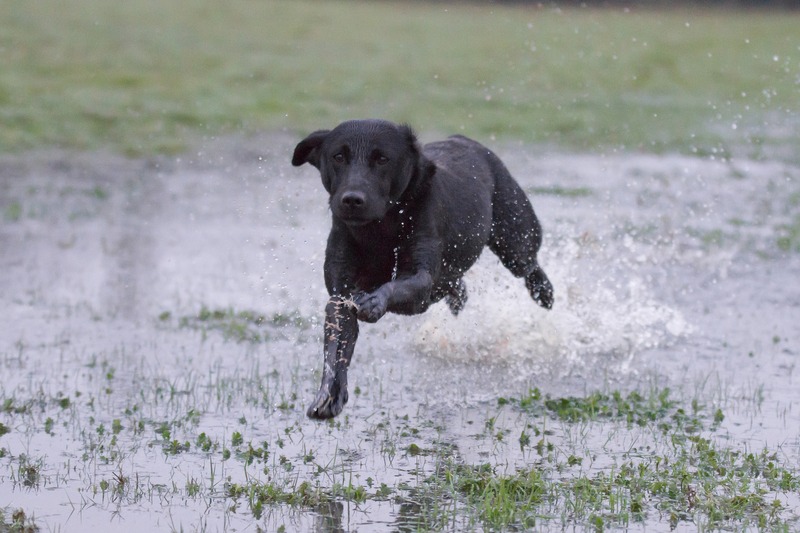 Should I feed my working dog before exercise? It’s important to recognise that your dog needs to retain a large amount of energy before any intense activity, but you should also be aware that they need sufficient time to digest this meal beforehand. There is no definitive amount of time to leave your dog to digest their food before beginning an activity, but between one and a half to two hours is recommended. Dogs can easily ‘bloat’ if they partake in any strenuous exercise too quickly after eating their meal. This may cause the stomach to swell and twist upon itself, causing blockages which can be life threatening to a dog if not treated quickly. When thinking of your dog’s feeding schedule, it’s always best to keep it consistent, working this effectively around your exercise schedule. If you’re thinking of feeding your pet after exercise, then this may affect your dog’s performance beforehand. It’s also not a good idea to feed your dog straight after exercise, when they’re excessively warm or when they’re still panting from their workout. You should wait for at least an hour after exercise before feeding your dog, as this gives them sufficient time to calm down and relax their stomachs before eating a large portion. Whether you feed your dog before or after exercise, always ensure that fresh, clean water is always available.